Getting better sleep at night is much easier with a comfortable mattress. The Comforpedic Beautyrest 4.5″ Quilted Top Memory Foam Topper is the solution to better sleep. 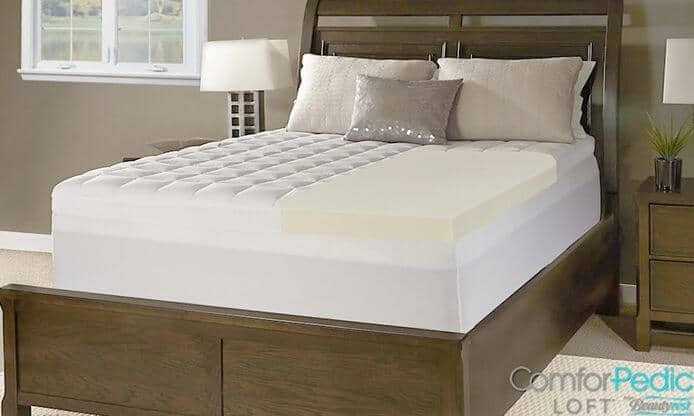 Memory foam topper helps reduce points of pressure and create a 4” layer of comfort to lay over the top of any mattress. Find more Best Deals on Mattress! Also check out our DIY Bedding projects such as How to Make Pillow Cases and Make your own duvet cover.